12 miles South of Mulegé on Highway 1. 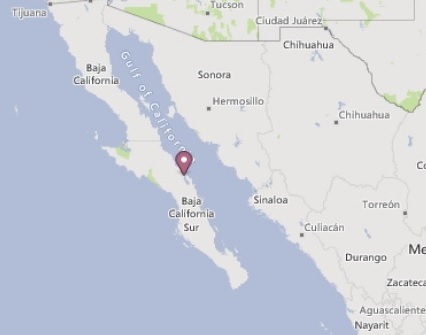 3 miles North of Playa Santispac. 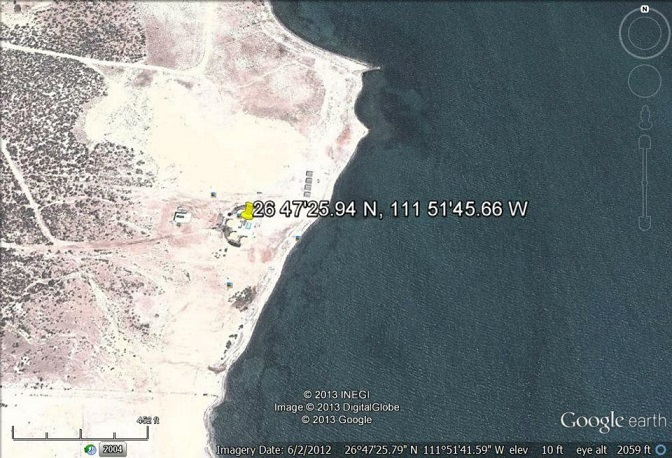 North of KM #117 and South of KM #119. Turn off onto a dirt road and go East towards the water for 2 miles until you see a Y in the road. 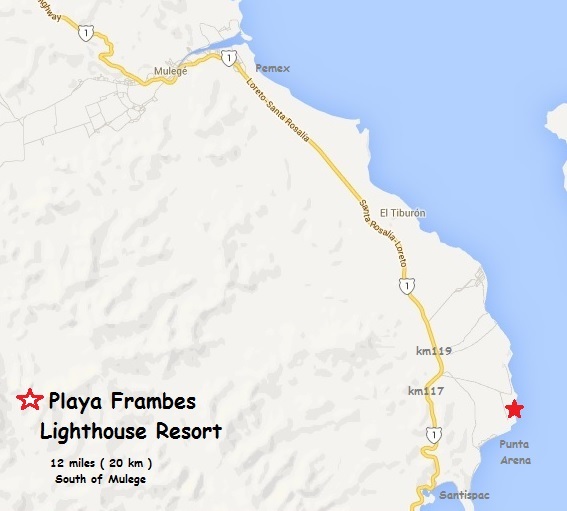 Look for the Playa Frambes Resort Lighthouse sign and turn left.